With the weather warming up, it’s time to get out and enjoy some nature. There are some great things to do near me that you might like, let’s see what we have to offer you. Birding…. if you love to bird watch, we have so many great locations to do that. Let’s start right from you front porch. We have birds galore on our property. We have some feeders out, but since we are a Certified Nature Wildscape, we also provide water and nesting for many birds. We do have a Blue Bird house down by our pond, and they are usually here in the Spring to start raising their babies. Walk our trail, and you will most likely see Red Tail hawks and other larger birds of prey. A short drive over to Lake Brownwood Spillway and you are in a whole new area to enjoy many water birds and different habitat. If you like to hike and bird, then we suggest a drive to Lake Brownwood State Park for a trek on one of their trails along the waters edge or through an Oak grove forest trail. How about water sports? You are always welcome to bring your boats as we are only 2 miles from a great put in at Wild Duck Marine, they have gas and the best “DAM” burger on the lake, they do rent out a pontoon boat for the day. We offer a kayak package that takes you on a stretch of the Pecan Bayou, a beautiful slow moving body of water. There are nesting Great Blue Herons along one of the stretches of the bayou and you can toss a line to catch a nice bass or catfish. Riverside Park in town offers a great Disc Golf Course and a nice nature hiking trail through the park, or catch the pool open for a cooling time. The city has a great hiking or biking trail that winds through out the sports complex area of the city. Horseback riding can be found near Abilene just an hour drive away, find their info on our See & Do Page. 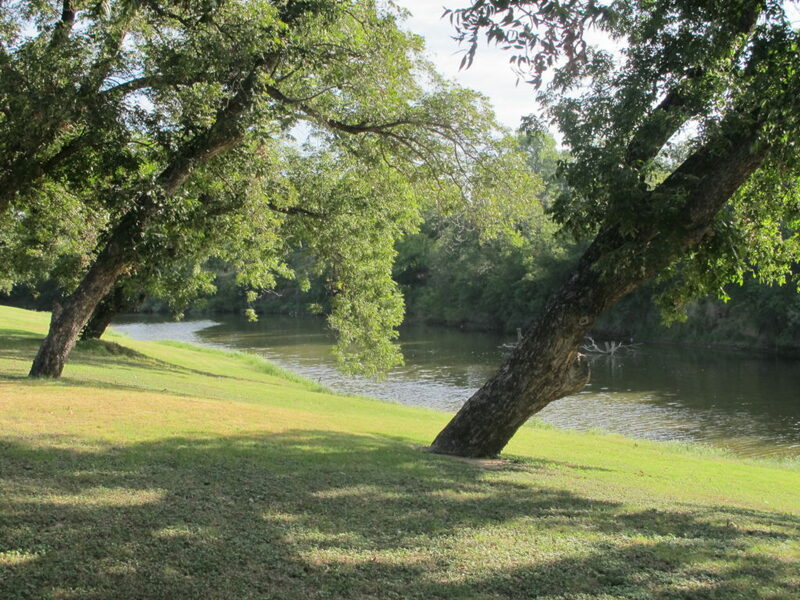 Whatever you like to do in the outdoors, we hope you will come and enjoy all we have to offer here in the Brownwood area and have our bed & breakfast as your home base to come home to each night. This entry was posted in Deb's Doodles, Near Me and tagged birding, canoe package, paddling trails by admin. Bookmark the permalink.